Home CFCnet North Stand Another Villa thriller on the cards? Another Villa thriller on the cards? A shock victory saw Aston Villa taking down Liverpool 1-0 at home recently, catapulting them past Swansea City to make second place in the Premier League table. The Villans have had a fantastic run throughout this season so far, winning every game but one. 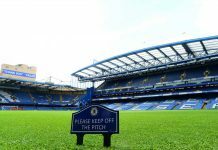 Their 0-0 draw to Newcastle could arguably be considered the only thing that held them back from beating Swansea City to second place previously, but now they’re going to face their biggest challenge yet as the take on The Blues at Stamford Bridge. Quite what the magic spark is for the Villans this season has been the topic of much debate. Some experts cite Paul Lambert’s combination of more seasoned Premier League players with younger hopefuls who can look up to their older counterparts. Indeed, Lamber t has been one of the most frugal managers this season, spending little more than £7 million on the team. Jose Mourinho, meanwhile, has only been too keen to splash the cash this season, and his investments have certainly paid off. 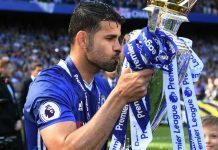 One particularly good value £32 million spend was Diego Costa who, at just 25, has already earned himself the accolade of top scorer in this year’s Premier League. 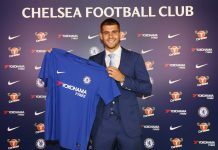 After a fantastic hat trick against Swansea City, the Brazilian has now scored seven goals in just four games, proving himself to be an unstoppable force when it comes to maintaining Chelsea’s first place position. Meanwhile, Aston Villa’s luck could be about to run out, particularly if their last season’s performance is anything to go by. The Villans finished in 15th place, while The Blues maintained a respectable third place. As Swansea have learned the hard way, a run of luck early on in the Premier League does not always guarantee a win, and the Swans have now dipped to third place. 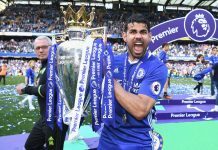 As it stands, bookmakers like Betsafe remain highly confident in Chelsea to take the three points at Stamford Bridge on the 27th. Jose Mourinho is not a man who takes defeat lightly; until just a few months ago he maintained a stunning record of never losing a home game throughout the Premier League. 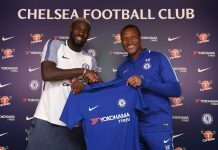 Interestingly, however, his perfect record was marked by Sunderland, which will perhaps give Aston Villa the added boost they need to gain their vital three points at Stamford Bridge. There’s one secret weapon that Lambert should look out for this season though – and his name is Diego Costa.